The appearance of your property is an important part of your reputation. As a business owner, facility manager, property manager, or homeowner’s association member you know it’s essential to keep your business’s exterior looking its best. Every organization has a unique set of goals, expectations, and rules they follow. We would love the opportunity to meet with you to discuss your goals and expectations to determine if Tender Lawn Care would be the type of partner you would like to team with in maintaining and managing your lawn/landscape needs. Whether you own an existing facility, manage multiple properties, or construct new buildings, we understand that your business’s appearance is an important investment. 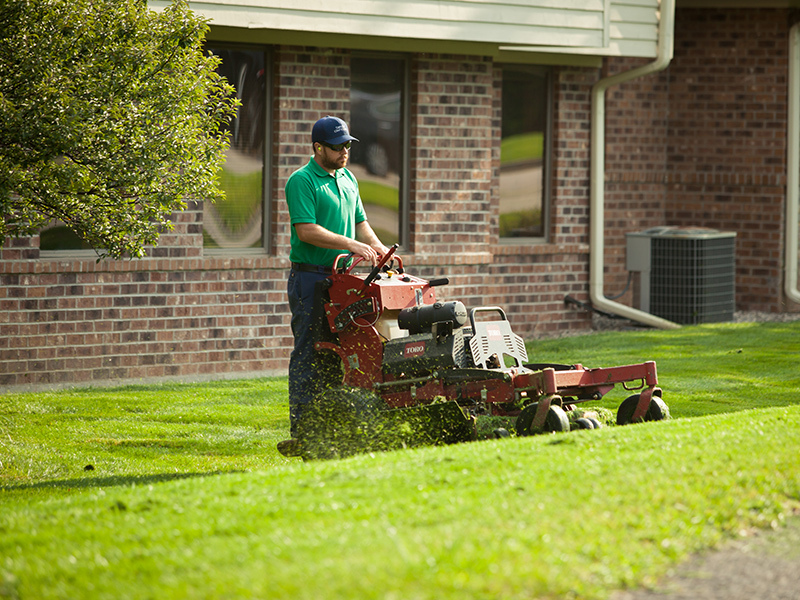 Contact us today and learn how Tender Lawn Care can be a valuable part of your commercial landscaping plan. We know it is vitally important for your commercial lawn to remain properly cut during the growing season, as a beautiful lawn is the basic foundation to a well-maintained landscape. Our crews ensure your lawn is groomed with expertise and precision to give your property a professional appearance. To avoid ruts and matted-down grass, we alternate mowing directions each week. Concrete walks, drives, and curbs are edged bi-weekly to create a crisp, clean edge. We blow excess grass off of walks, drives, and patios. Periodic pruning of your trees and shrubs not only extends their lifetime, it also improves their health and appearance. Different trees and shrubs each have their own ideal season and method of pruning, so it’s important to have an educated professional handle these services. 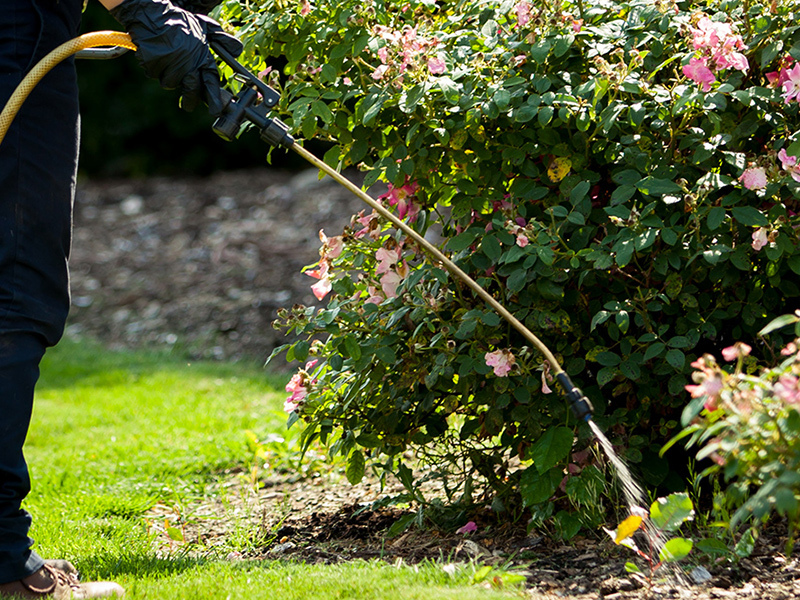 Tender Lawn Care’s expert pruners utilize proper techniques and equipment to groom your ornamental trees and shrubs at the optimal time, which will keep your commercial landscape looking its very best. Another effective form of weed control, woodbark (or mulch) is not only functional, it also enhances the appearance of your landscape. 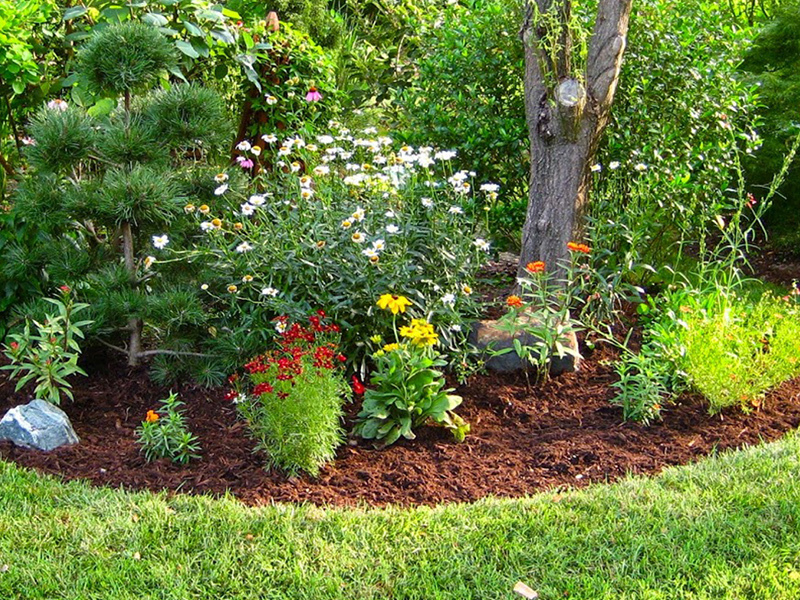 Tender Lawn Care delivers and installs mulch in a variety of colors, to keep your property looking its best. To ensure that the exterior of your property has a welcoming, bright and cheerful feel throughout the year, consider adding seasonal flowers/plants to your entry area. By incorporating vibrant annuals into container pots or your existing landscaping, we can help add color variety and visual interest to your facility. Weeding is an important aspect for maintaining a clean landscape and improving your business’ curb appeal. 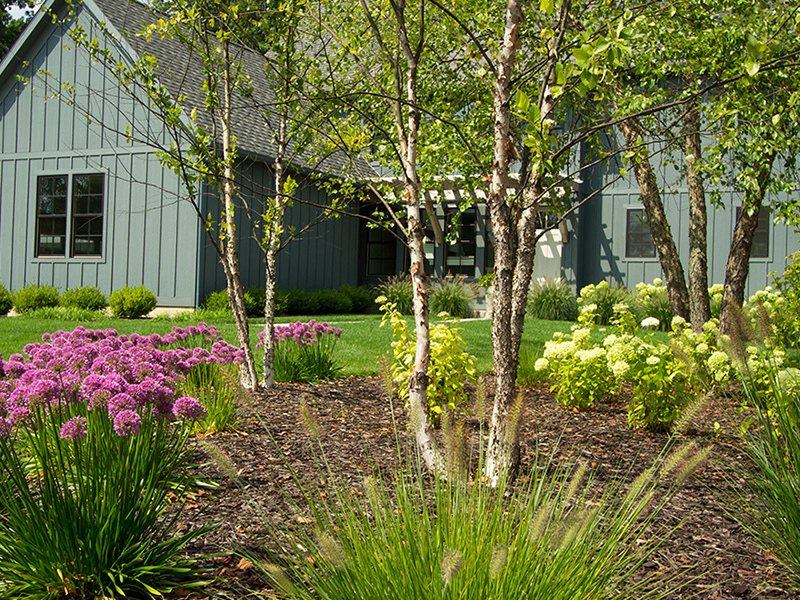 Tender Lawn Care utilizes various treatment methods to best suit the needs of your planting beds. 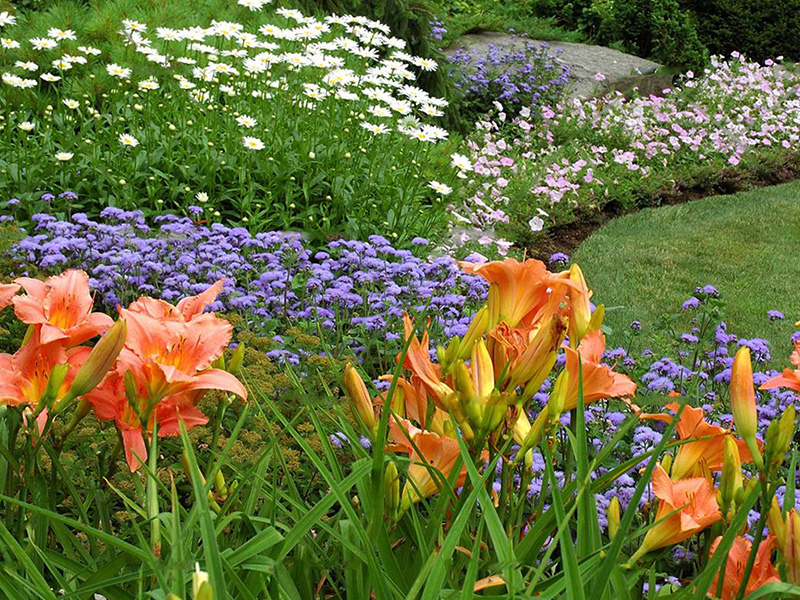 This multifaceted approach begins with pre-emergent weed control – which helps minimize weed growth and germination – then is followed with multiple visits throughout the season, to kill out and remove unsightly weeds. 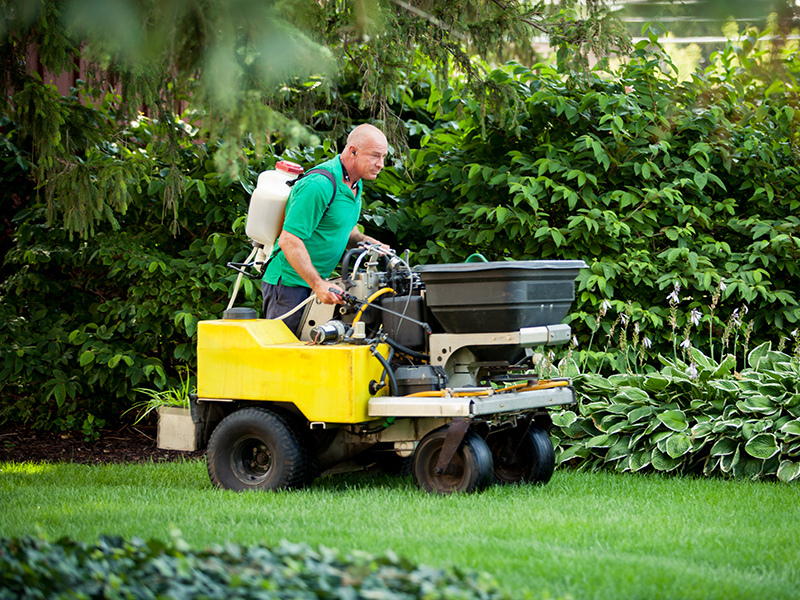 Fertilizing and weed control are essential components for maintaining a full, healthy-looking lawn. Soil that lacks the proper nutrients will produce a lawn that is thin, prone to weed issues, and susceptible to various diseases and insect problems. 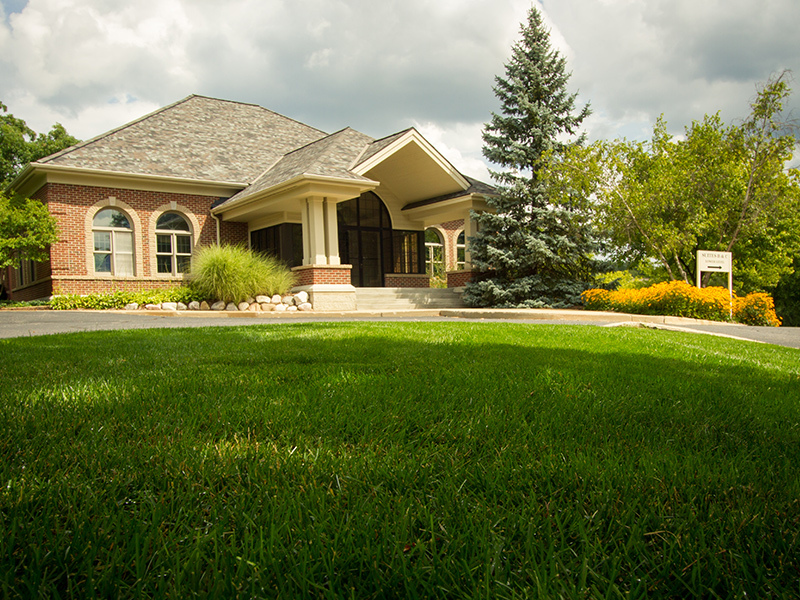 Our licensed staff is well-versed in the grass varieties and weeds found in West Michigan and our services are designed to help address issues at the root to promote healthy growth on your lawn. Our fertilizer is phosphorus-free and our technicians will ensure that fertilizer pellets are blown off your sidewalks. 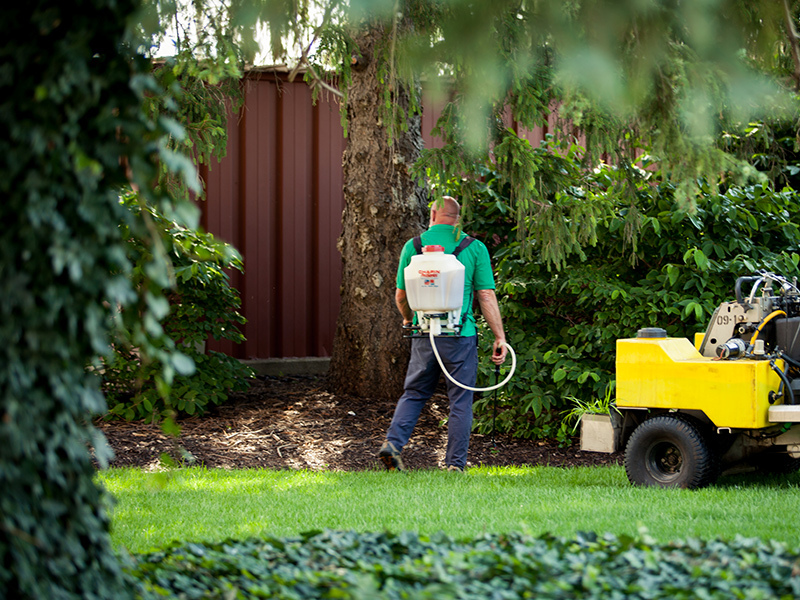 Insects and lawn diseases can wreak havoc on your lawn/landscape. We use an integrated pest management approach to manage and treat insect and disease issues and keep your lawn looking its best.